Ilya Kovalchuk, signed with the New Jersey Devils through 2025, announced his retirement from the NHL on Thursday afternoon in perhaps the most shocking moment in the history of the franchise. 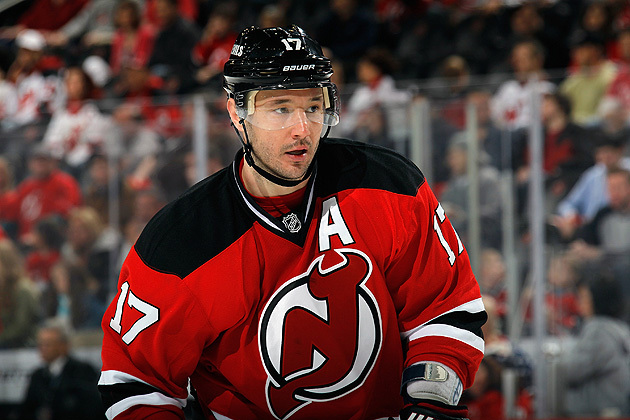 Kovalchuk played 11 seasons in the NHL, including the last four with New Jersey. He retires with career NHL totals of 417 goals and 399 assists for 816 points with 516 penalty minutes in 816 games. Kovalchuk had $77 million yet to be paid on his contract. The Devils have formally terminated that contract, ending his tenure with the team. The assumption always was that Kovalchuk would leave for Russia during the duration of his 15-year, $100-million contract; many assumed it would around 2019, when his base salary dropped from $7 million to $4 million. No one assumed it would be just three years into a deal that, remember, costs the Devils their first-round pick in next summer's draft due to the NHL's penalty for their initial 17-year cap circumventing contract with Kovalchuk that was voided. We’ll have much more on this as it shakes out, but the two most immediate questions about this incredible moment: What does this say about the Devils’ finances, and how on Earth do they possibly replace the best goal-scorer on the team, and perhaps in team history?